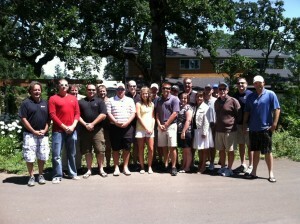 Entertaining a group of golf course superintendents from all over the country. That’s me in the white skirt. My name is Mary Harer and I’m with Columbia Seeds in Corvallis, OR. 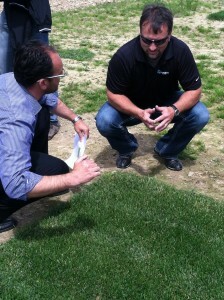 We are a turf and forage grass production and marketing company with over 50 years of combined grass seed experience. Columbia Seeds LLC began in October of 2002 when Tom Pape and my husband Scott Harer felt very strongly that the industry needed a value direct link from the grower to the marketplace. 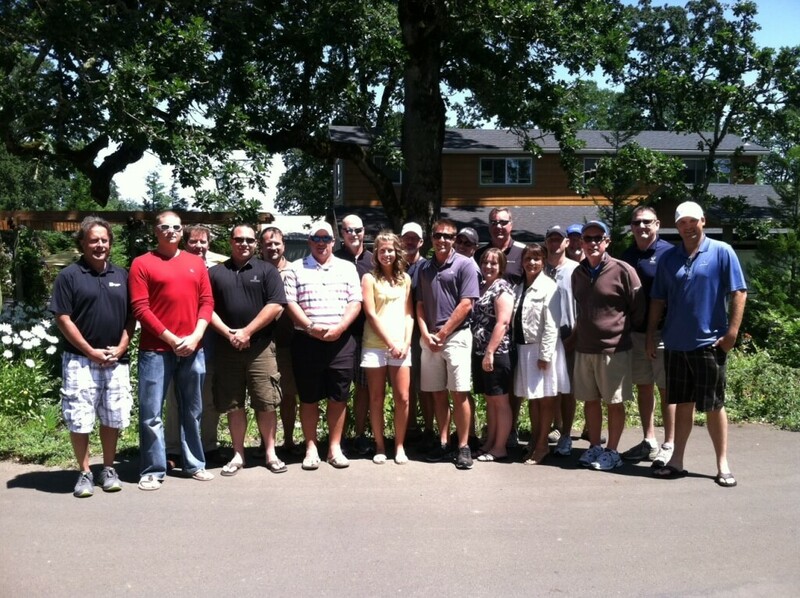 We partnered with one of the largest growers in the Willamette Valley and haven’t looked back since. 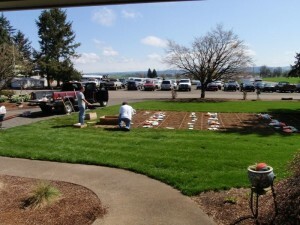 Planting turf plots in Aumsville, Oregon. We also contract with other Oregon grass seed growers to produce & package our licensed grass seed varieties. Once harvested, packaged, tested and tagged, we ship turf and forage grasses, blends and mixes to cities all over the United States and around the world. Oregon is the world’s primary producer of forage and turf grass seed and most of that acreage is located right here in the Willamette Valley, also known as the “grass seed capital of the world.” Everyone here at Columbia Seeds is proud to be part of this environmentally friendly industry. Examining Oregon-grown varieties of turf plots in Padua, Italy.